Since it’s the middle of winter in Australia, the lush, green landscapes of Yarra Valley, about an hour outside of Melbourne, completely surprised me. We had come to sample the valley’s award-winning wines, but didn’t expect to fall in love with the surrounding countryside as well. Can you imagine this verdant place in the spring and summer months? 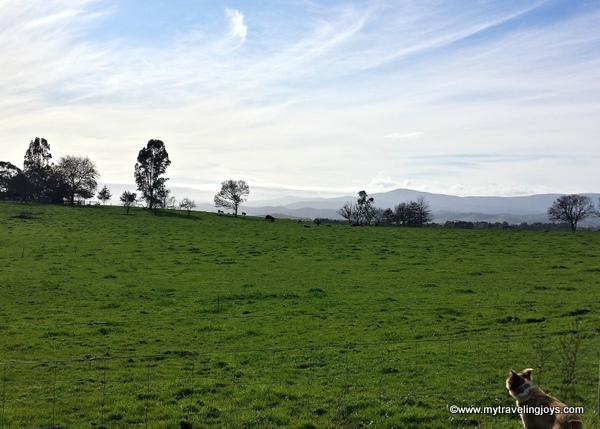 Earlier this month, my husband and I booked a full day tour with Yarra Valley Wine Tasting Tours, which included stops at four wineries, a dairy farm and cheese shop and a chocolate shop. We want to take full advantage of the city and country as much as possible since we don’t know how long we’ll be living here. The tour was a fantastic introduction to Yarra Valley, and we didn’t have to worry about who was going to drive since we were on a small tour bus. We first stopped at Yering Station, a winery established in 1838 by the Scottish-born Ryrie brothers who adopted the Aboriginal name “Yering.” The brothers planted two grape varieties but mainly used the land for cattle. Over the years, the property changed hands, but continued to produce wines, winning the Grand Prix at the Universal Exhibition in Paris in 1889. Today, the property is locally owned by the Rathbone family, purchased in 1996, who also established a restaurant overlooking the vineyard’s beautiful countryside. 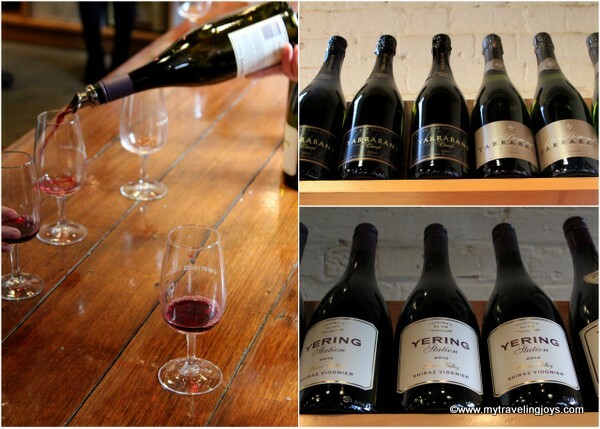 Our favorite wines from Yering Station were the shiraz viognier and the cab-sav (as Aussies like to abbreviate everything). Our second stop was at Yarra Valley Dairy, a local farm featuring both homemade cows’ and goats’ milk cheeses. We’re both suckers for cheese especially soft and stinky cheeses. The dairy’s goat cheese pyramid with ash reminded us of French cheeses we’ve liked so we bought this and two other cheeses. Unfortunately, the shop was crowded so I didn’t get any cheese pictures, but the surrounding farm lands were pretty. Next, we headed to Domaine Chandon, which produces some of the best bubbly we’ve had outside of France. It’s probably no surprise to learn that the company is now part of the French-based champagne producers Moët & Chandon. However, the property has been operating as a vineyard since the 1800s as well. I loved the sparkling wines here, so we bought two bottles! After enjoying our bubbly, we headed to Rochford Wines for lunch and our fourth (technically) wine tasting of the day. Our tour included a one-course lunch, so we both opted for the melt-in-your-mouth beef cheeks cooked in red wine, of course. Delicious! I’ll admit that the Rochford wines were not my favorite, but the food was tasty and the place offered scenic panoramic views from a tower we climbed up. By the time we stopped at St. Huberts Winery, originally established in 1862, I’ll admit that I was feeling tipsy. Silly me as I had tried everything put in front of us as well as some extra samples. I simply couldn’t resist the wine! St. Huberts is a lovely boutique winery and I’ll have to try the wine again with dinner. Finally, we ended our day at the Yarra Valley Chocolaterie, which featured abundant chocolate samplings. If you love chocolate, this is the place to be! However, we didn’t buy anything as the chocolates were rather expensive. The chocolate bars were sold as 60 grams each (most brands normally as 100 grams) and cost $8 to $10aud. However, we did treat ourselves to two ice cream cones and then went out to see the cute farm animals outside. 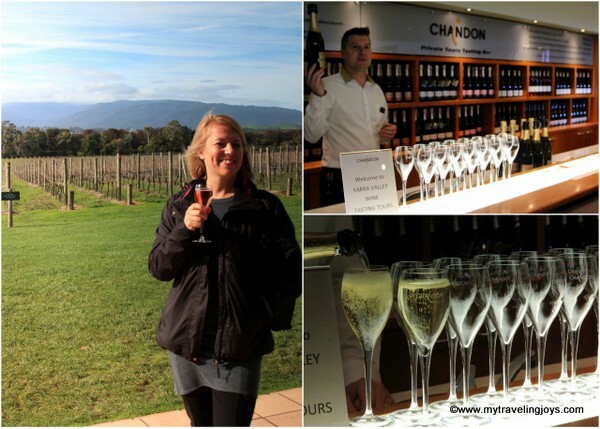 All in all, our full day tour to Yarra Valley was a spectacular way to sample the country’s wines and food. Plus, our tour bus included singing Irish girls on the way back home. Sadly, we didn’t share any American songs in return. 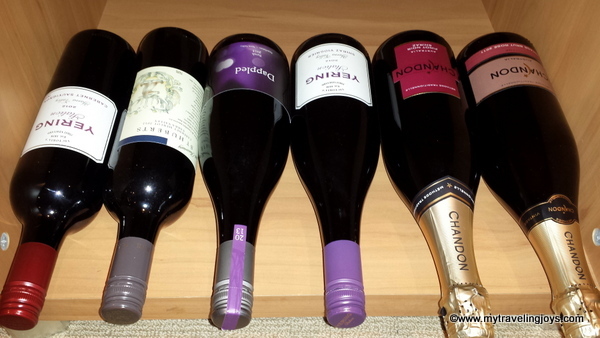 Some Yarra Valley wines to enjoy later at home! Yering and St. Huberts are two of my faves - love that you got the lingo down pat! Wow there sister, that looks like an amazing day! I would have loved to try the beef cheeks! err.. not to mention all the wine and bubbly! Miss you guys. I am so jealous . Wine, cheese and chocolate and a chauffeur to drive you home. What could be better. Thanks for sharing above information. 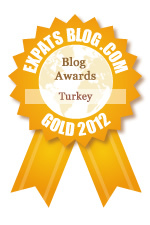 I am very impressed with this article. Hope for more updates soon.